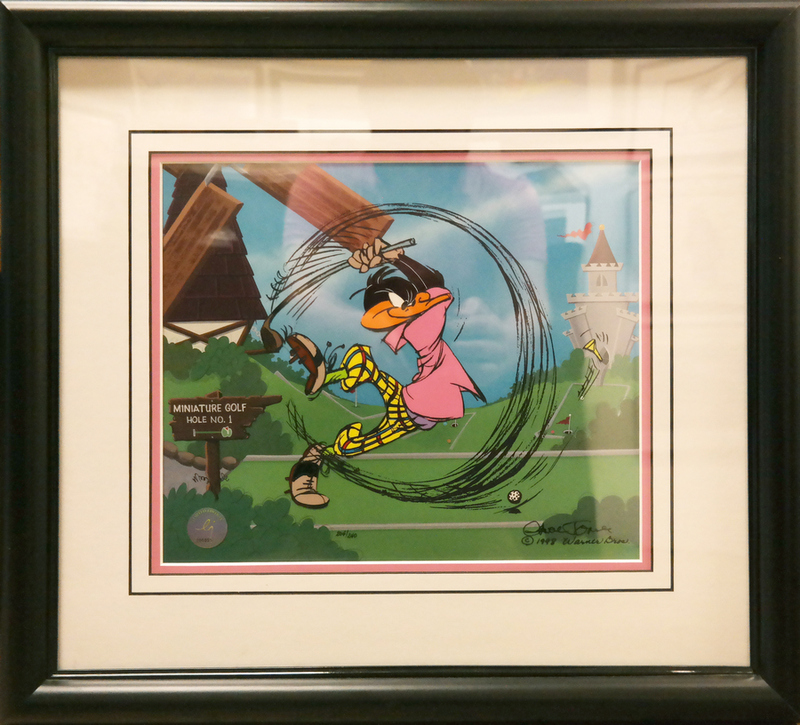 8" x 8"; matte opening 10" x 12"
This is a limited edition cel from the Warner Bros. Studios featuring the popular character, Daffy Duck. 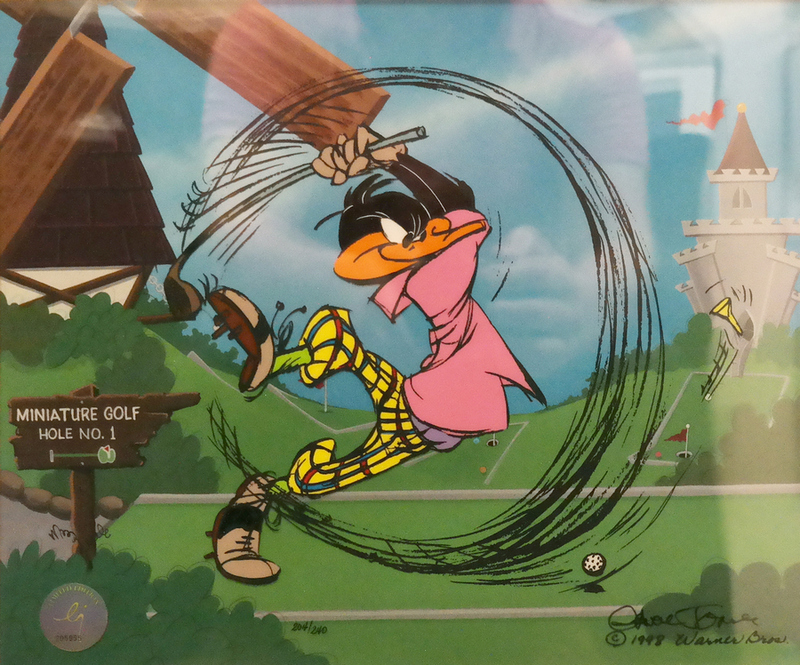 Created by Chuck Jones, the piece is entitled "Par None". The original image was hand-drawn and hand-inked on paper by Chuck Jones. His line image was transferred by serigraph screen onto the cel, and each cel was hand-painted on the reverse side. 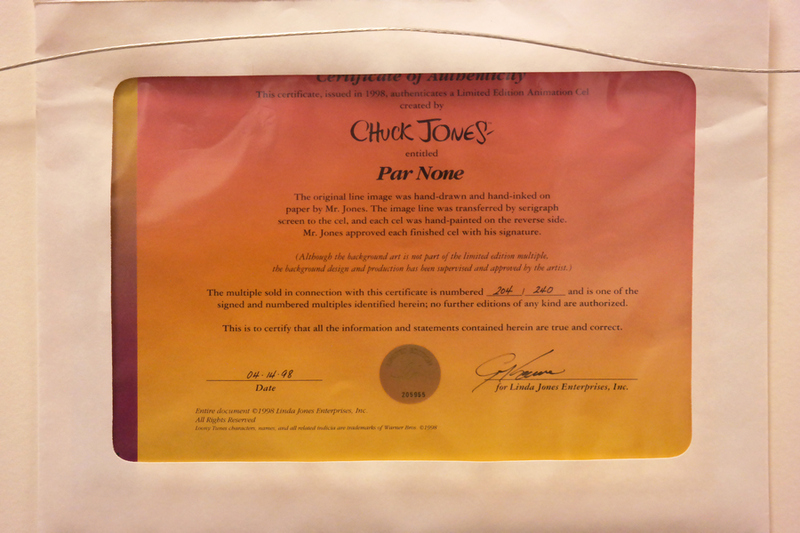 The cel is hand-signed by Chuck Jones and is hand-numbered 204/240. The cel is prepared with a color printed background as it was originally released. The cel in in excellent condition (unexamined out of frame) and includes the original studio COA. The limited edition measures 18" x 20" framed with the mat opening measuring 10" x 12", and the the hand-painted image on the cel measures 8" x 8".